Getting your product Halal certified will open doors to a large global market. For entrepreneurs, Halal certification means access to the $150-billion global Halal market. For the consumers--be they Muslims or not--a Halal mark inscribed in the labeling of a product means it passed international standards from preparation to packaging and handling. This "win-win" situation for both manufacturers and consumers is one major driver why the Halal business has been growing exponentially even here in the Philippines, which is a predominantly non-Muslim country. The Philippines, of course, has a sizeable Muslim population nonetheless of about five million. 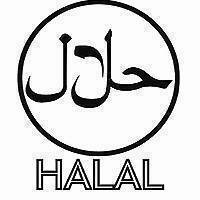 There are also 12 listed Halal certifiers all over the country, all private organizations. Halal certifiers are engaged in the inspection, audit and certification of food, non-food products, establishments and services. The Supreme Court has ruled that Halal, being a religious matter, is within the purview of Islamic religious organizations. With this, the government no longer certifies Halal products. However, the government, through the DTI's Bureau of Product Standards (BPS), set the Philippine National Standards for Halal (PNS 2067: 2008), which is at par with international standards so as to enhance the competitiveness of local industries, and also to ensure product quality and safety for the consumers. PNS 2067:2008, developed by Muslim scholars, theologians, and Shariah experts in the Philippines, provides the general guidelines for the Halal food industry on the preparation and handling of products, and serves as a fundamental requirement for food product and a food trade in the country.